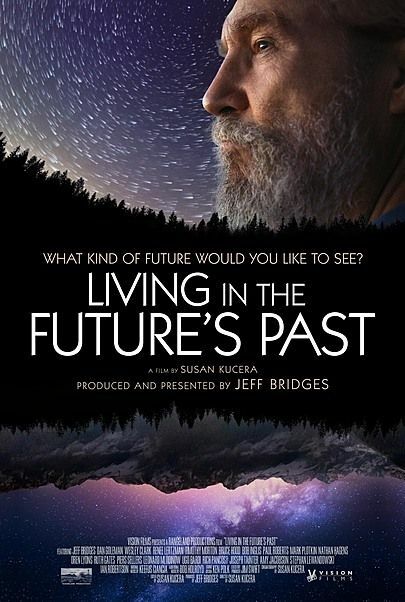 Academy Award winner, Jeff Bridges shares the screen with scientists, profound thinkers and hundreds of earth's living creatures to reveal eye-opening concepts about ourselves, our past, and our future in a way not presented on film quite like this before. Living in the Future’s Past goes beyond politics, borders, and boundaries shattering the paradigm of how we look at long-term problems. Living in the Future’s Past is a prescient, lush, cinematic tour-de-force about human nature and ecology that provides original insight when we need it most. No one says it will be easy, but the genius of Living in the Future’s Past lies in the fact that we can embody the wisdom to move into the future wisely. Join audiences in movie theaters nationwide on Tuesday, October 9th (with additional screenings in select locations) for an exclusive cinema event featuring an exclusive conversation and commentary with Jeff Bridges and filmmakers following the feature.